Over five hours of instruction makes learning rug identification easy and fun! Gain a fast track watching Ellen Amirkhan and Aaron Groseclose reveal how you can learn the most commonly encountered rugs in a cleaning business. 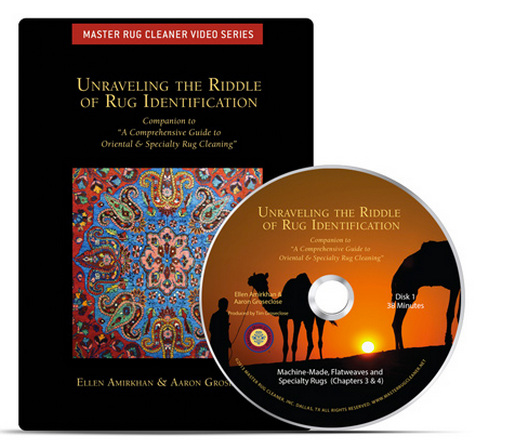 The DVD series follows six chapters in their book A Comprehensive Guide To Oriental and Specialty Rug Cleaning providing all the tools needed to learn and reinforce rug ID skills. Order yours today!